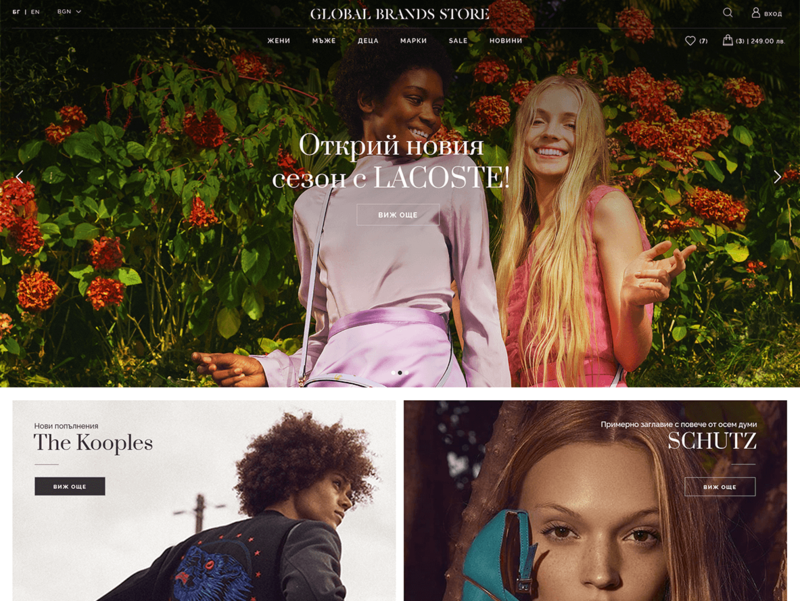 The project was a redesign of client's previous online fashion store. Main goal of the project was keeping minimalist and clean look of the website and sticking mainly with white background across pages. Choosing a wider grid layout in order to display more products with bigger photos for the listing page was another requirement. Typography and combining typefaces suitable for fashion store was also a challenge. 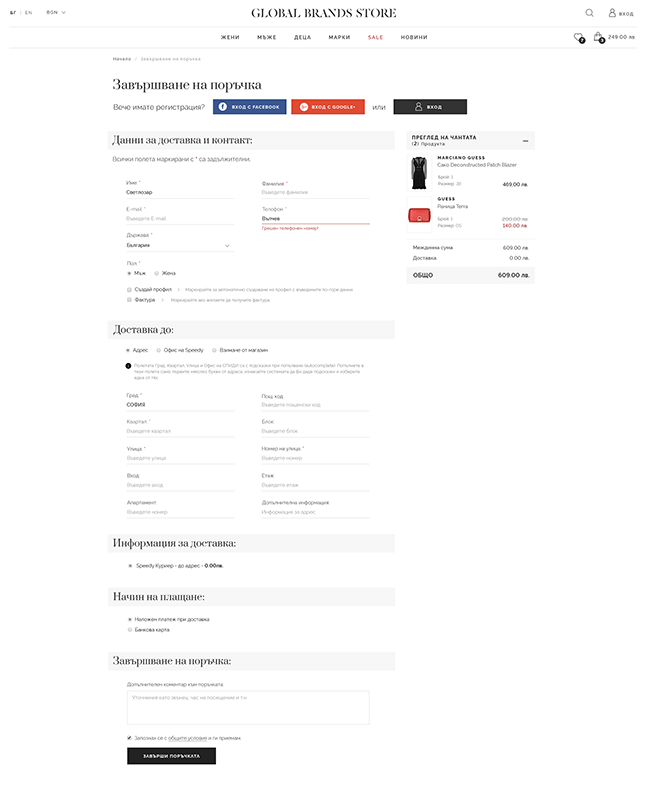 For product details page we had to think a way to fit all product info in one section at the top instead of the standart tab separation. 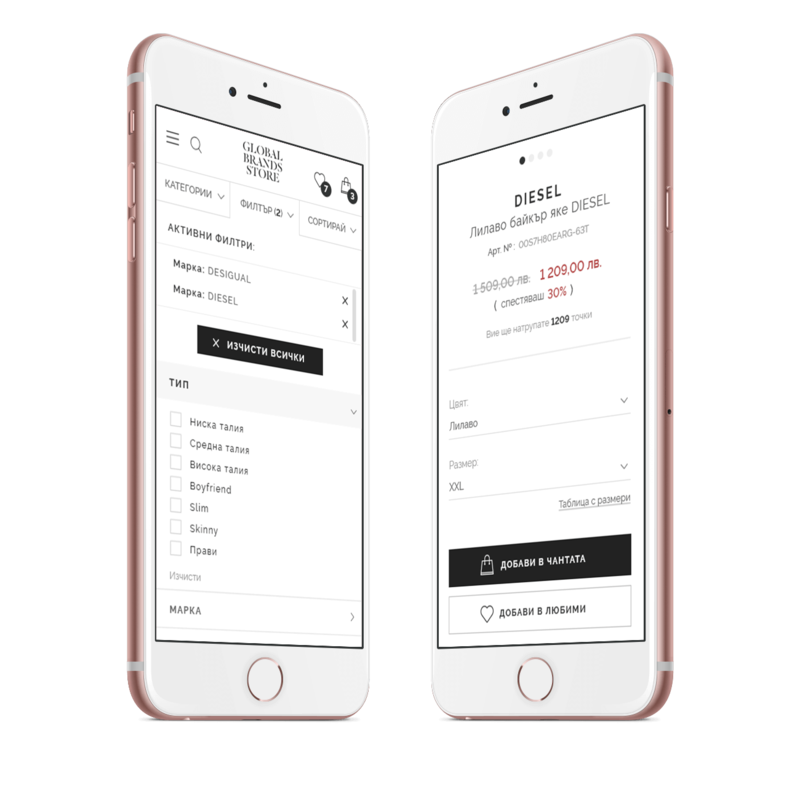 Additional effort was put into enhancing the mobile version of the website too. After a few attempts I finally came with combining elegant serif typeface for headings with clean geometric look for the body text that gave great results. 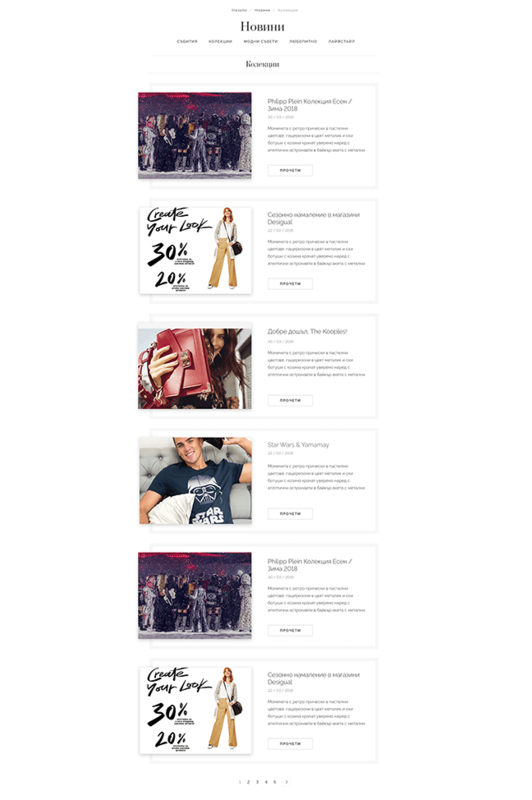 Keeping all backgrounds white and reserve gray only for footer and emphasizing of containers, made the design to look spacious and product images to pop-out more. 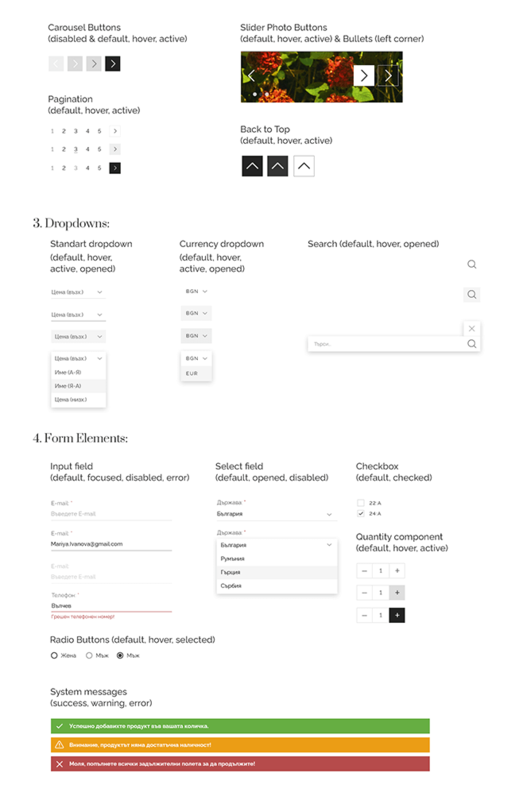 For details page we went with compact accordion interface so all the info can be fitted along with the image gallery. 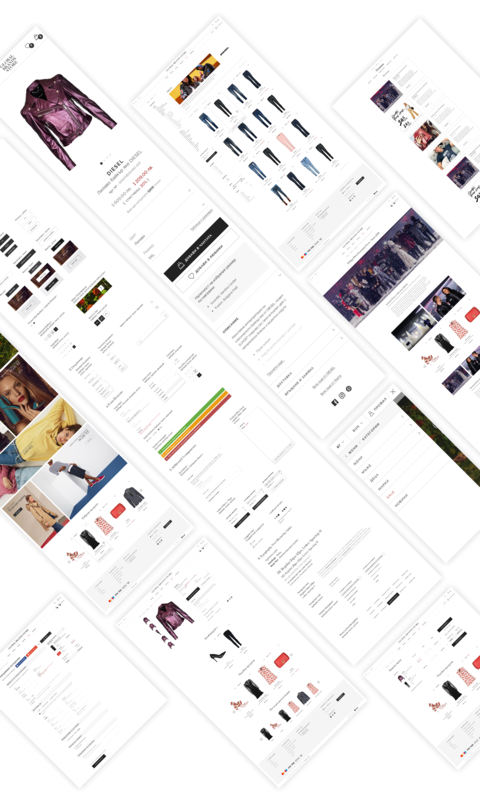 Homepage as well as Product Listing were designed with 1600px wide grid and thus fiting more and bigger product photos which is very important for fashion shops. 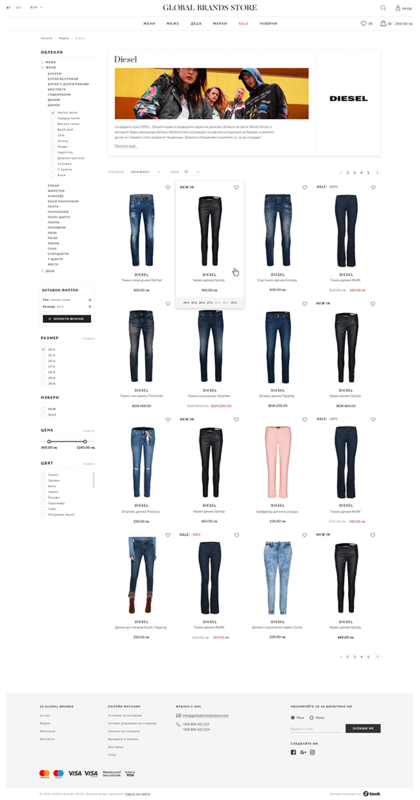 Everything except sales label is in gray scale colors, smaller text sizes and good text hierarchy combined gave a luxurious feel to the site. Checkout page was also improved. Clear look and separation of fields in one-page process was crucial for fast completion of the orders. I designed news pages to be a bit different than the classical blog posts and listing in order to fit the overall minimalist and luxurious concept. In the end of project I compiled and extensive UI kit for future use and also helping developers in keeping consistency during the process of their work.